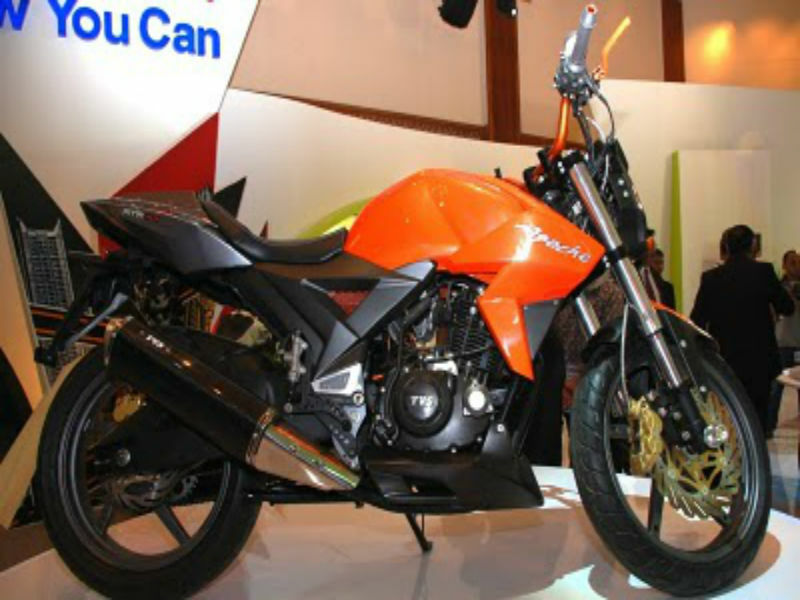 TVS Velocity 160 is stylish, attractive and sporty vehicle with all the latest technological features. Read the review to explore the features, technical specifications & price. 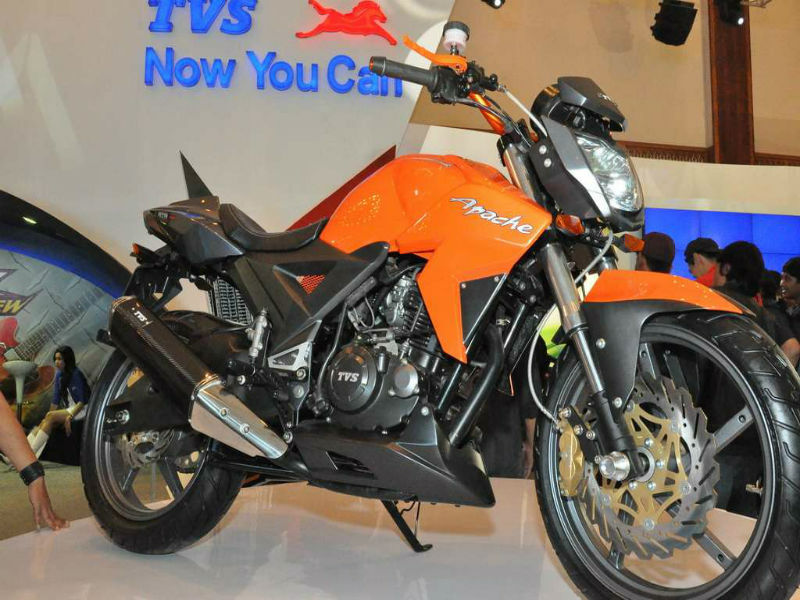 TVS Velocity 160 is the dynamic, stylish and sophisticated vehicle with the splendid looks and quality features. The muscular plastic frame covering the naked body of the bike attracts every passerby and this is the main reason behind its muscular and aggressive looks. No doubt that this bike is simply classic in its appearance and this also proves to be true with its advanced technology that makes it perfect for any road. The wait for this trendy motorcycle is expected to be over by the end of 2012. 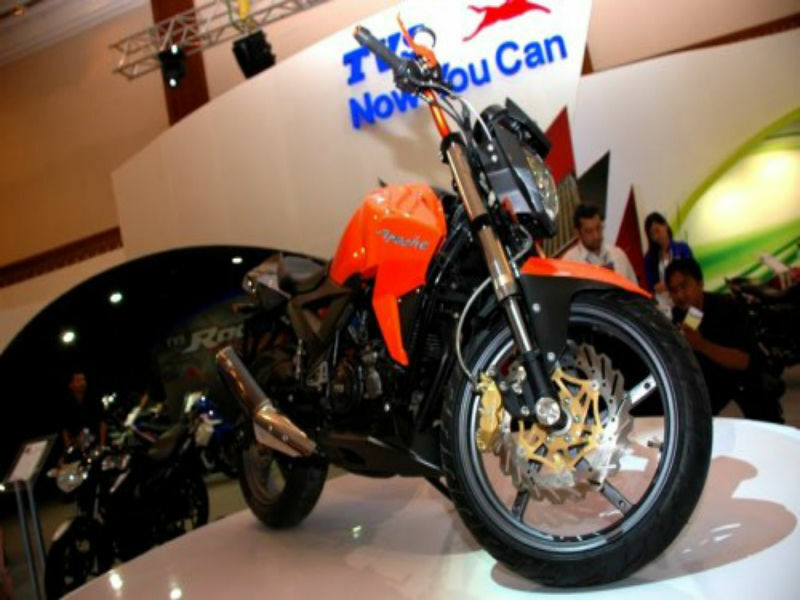 The aggressive and bold looking motorbike TVS Velocity 160 comes with 4 stroke, single cylinder, 160 cc engine. The maximum power generated from this engine is about 15.2 Bhp at 8500 rpm and the peak torque achieved is about 13.1 Nm at 6000 rpm. The 5 speed transmission of the bike assures easy shifting of gears and also helps in transfer of power from the engine to wheels. The upcoming vehicle TVS Velocity attracts everyone by its stunning looks and attractive feature. The impressive factors about the bike includes attractive design of fuel tank, chrome finished halogen headlamp, trendy tail lamp, striking instrument panel and aerodynamic body structure. It is not only about the appearance but the comfort provided by the vehicle is simply awesome thereby proving itself the perfect motorbike for any type of road. TVS Velocity 160 comes with latest and advanced technological feature to provide smooth and trouble free riding. The quality suspension system of the motorcycle including the front upside down forks and rear YSS Monoshock unit guarantee wonderful driving experience even off road. Further excellent disc braking assures sudden halting of the bike under any risky situation. Apart from the previously mentioned features the aerodynamic shape of the vehicle is other major plus point as it assures greater control to the rider. The new trendy vehicle is expected to be fuel efficient but its exact mileage rates are not known. The stylish and classy bike TVS Velocity is expected to be released in two striking shades namely midnight black and sunset yellow. The ex-showroom price of this motorbike is about Rs. 80,000.